What kind of initiative (farm, private, network, other)? This is a network of 15 producers of high value added food products and rural service providers opening their farm and food processing plant for customers to visit on a regular, transparent basis. The OPEN FARM Association is facilitated by the local LEADER group and was elaborated due to 2 international research projects. The network of farmers provides common marketing image (logo, roll-ups, signs, image films, website etc. ); a well designed internet platform + smart phone app. including push notification. What is the goal of your initiative? The aim of the initiative was to build up a local network with local stakeholders to attract visitors from nearby tourist attractions as Héviz (thermal bath) and Lake Balaton. The network implemented an own quality assurance system (with internal governance and decision making) for creating adequate environment at the farm to be able to accept visitors (toilets, hygiene, aesthetics, etc.). In that way the network can guarantee the high-level services for Hungarian and foreign tourists. The initiative is a possibility for social learning, networking, building regional identity for producers. What are the activities involved? At the first stage (during 3 years) the LEADER working group built up a working group with farmers and service providers. During this period stakeholders had regular meetings on invention of common activities, goals and intern rules for quality assurance system. The stakeholders learnt together and shared their notions about common activities. From the starting point they have being involved in marketing activities (as short film, photo making, handbook preparation) and they have been starting organising the first open farm events eg. : open apple day, open cellar tour, etc. What are the results? The programme so far: created a coherent, long term framework for the efforts to develop local economy, economic and social networks, consumer and production culture, in a sustainable rural development context channeling efforts and giving strategic direction to the local development programme; created a reflexive and adaptive internet platform (and smart phone app) that can be dynamically updated by the producers themselves; reinforced social and economic networks among producers, giving space for social learning, personal and community development; provided new cooperation model. What are your ambitions for the future Future plans of the group is to organise regular possibility to buy good quality local products on the farm, in an ‘experience economy’ framework and not just on opportune days. The facilitators intend to develop more type of programs with cooperation of 2-3 farmers. For example Hungarian spirit tasting, guided excursion and local food dinner or apple picking with farmers, horse riding and common cooking from local products. The objective is to provide more marketing tools for farmers, enhance know-how transfer and involve more international knowledge and competences from other sectors. Please write, in a nutshell a short story about the core of your initiative. The Zala Thermal Volgye LEADER group is a civil organisation that was established in 2008 in the western part of Hungary, in the northeast part of Zala County. The undeveloped part, long-ago decisively an agricultural area, underprivileged in social and economic aspect with high rate of unemployments is Zalaszentgrót and the surrounding settlements. The main purposes of the local action group are improvement the quality of life by renewing and utilizing art relic buildings, preserve natural and cultural heritage, enhancement of the local economy by motivate the preparation of local product, development of tourism activities; support of establishment and development of SME’s. Due to this developing approach the LEADER group (LAG) managed more research projects involving external experts to observe local opportunities for tourism and short food chain development. The LAG had already provided Rural Development Funds for local stakeholders in order to develop their processing plants, farms, tourism facilities. 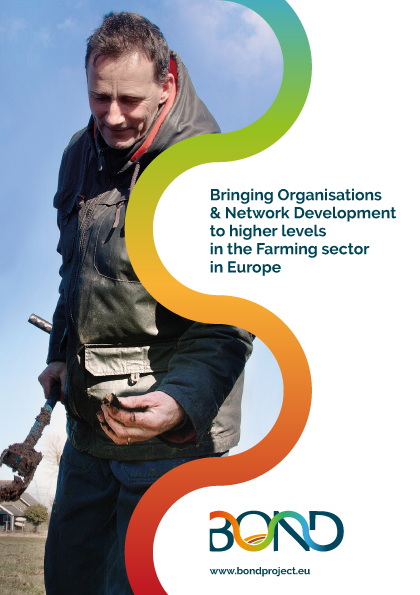 In 2013 it was time to start the reorganisation of these developments and motivated local actors in a new network however in Hungary there wasn’t such a good practice for network buildings in short food chains and rural tourism. In the frame of one project the managers of the LAG visited the French Bienvenue a la ferme national tourism and SFSC network and a South-French Leader group and finally they decided to implement these good practices in the microregion. A new study was conducted on local food systems during which local farmers defined their needs for local tourism development and collective work. As well they defined their slogen: “in small region, small treasurers, small green hearts”. In the study local restaurants, service providers were also interviewed who pronounced their need for local raw materials in an organised channel. The LAG examined the level of competences of the possible actors which has led to organise marketing, local tourism, business development, social media trainings. During this time the LAG prepared more workshop with the core team where stakeholders had discussions on group building up, mutual requirement, mutual support, definition of quality of services and local products and process of internal quality assurance. According to the internal rules. All the applicants were visited and controlled if they meet all the requirements. On 24th July 2018 the Open Farm network were launched officially where all the participants received a certification about membership. The LEADER group set off the new common website, Facebook page and smartphone application. From this point the members can organise their individual open events which is communicated on Open Farms’ channels and also they can organise common events on special seasoning periods. What are the main lessons you learned? 1. It is important to use real existing results (social networks, trust, existing enterprises) to base your new SFSC on. 2. It is important to involve strong local actors, gate keepers, opinion leaders, to create empowerment and ownership. 4. It is important to close the communication gap between local actors and IT experts and ensure real understanding when designing internet platforms, apps. etc. Kindly say a few words about the process The whole process started in 2008 and the process of network building started 5 years ago. During this time more than 40 workshops were organised on order to sensibilise local actosr for cooperation, mutual support. In the group there is a strong management team who know very well the local environment and motivated to develop their microregion. Between the involved members there are more who arrived from other sectors, other regions and they have clear heads for common activities. Anything else you would like to mention? The main challenge is the power of management, the common understanding, and the common benefits.